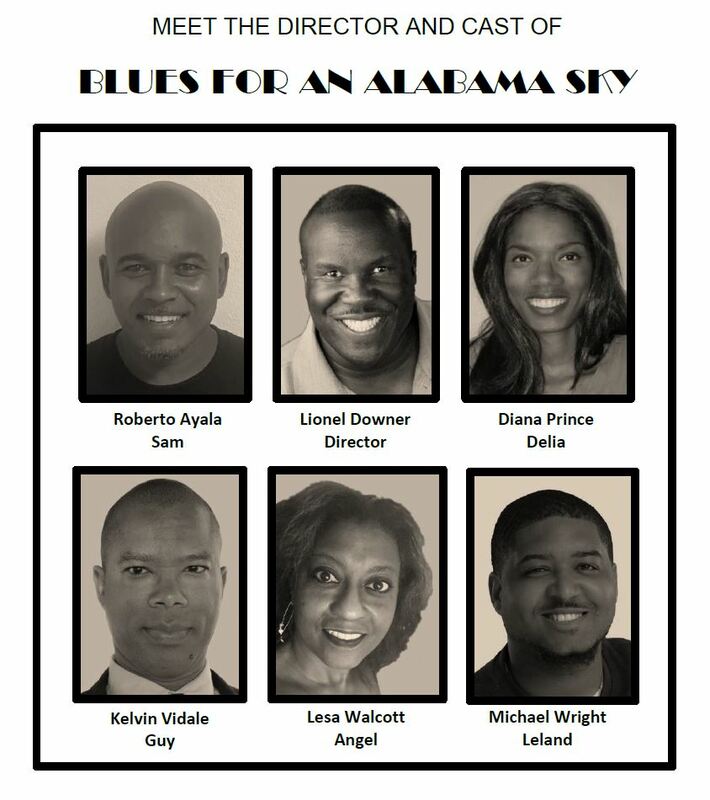 CCT closes its 33rd season with Blues for an Alabama Sky, a period drama set in 1930s Harlem, New York. There will be six performances of this play over two weekends: Fridays and Saturdays, June 15-16 and 22-23 at 8 PM, with two Sunday matinees on June 17th and 24th at 4 PM. This period drama is set in Harlem, New York in the summer of 1930, as the harsh realities of the Great Depression begin to overshadow the creative euphoria of the Harlem Renaissance, we meet Guy, a costume designer, whose apartment plays host to a rich cast of characters who each reflect the conflicting currents of the time through their overlapping personalities and politics. There is Angel, a recently fired back-up singer at a popular Harlem club; Sam, a hard-working, jazz-loving doctor at Harlem Hospital; Delia, a social worker dedicated to opening the first family-planning clinic in Harlem; and Leland, a recent transplant from Tuskegee, Alabama, who sees in Angel a memory of lost love and a reminder of those “Alabama skies where the stars are so thick it’s bright as day.” Blues weaves together the desires and sacrifices of these five men and women and the changing world they live in as they struggle, as Guy says, “to look beyond 125th Street” for the fulfillment of their dreams. 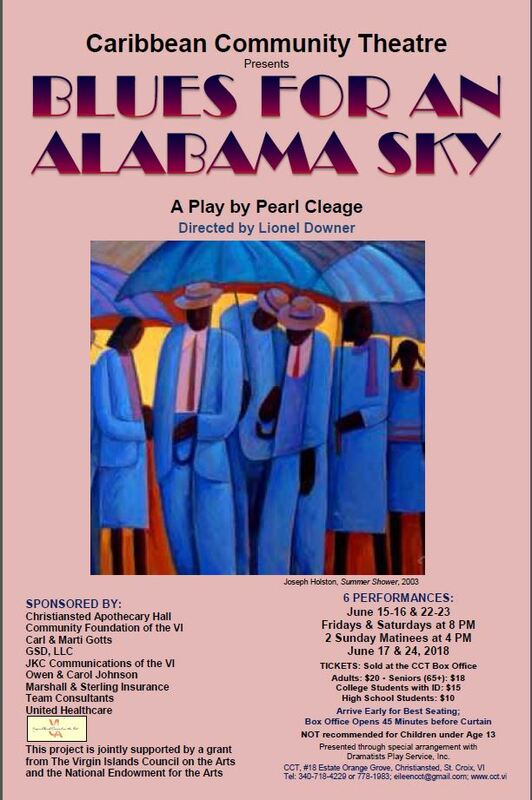 Blues for an Alabama Sky is written by Pearl Cleage. Lionel Downer directs this cast of five: Roberto Ayala, Diana Prince, Kelvin Vidale, Lesa Walcott, and Michael Wright. CCT productions are jointly supported by a grant from the Virgin Islands Council on the Arts and the National Endowment for the Arts, and sponsored by Christiansted Apothecary Hall, Community Foundation of the VI, Carl and Marti Gotts, GSD, LLC, JKC Communications of the VI, Owen and Carol Johnson, Marshall & Sterling Insurance, Team Consultants, and United Healthcare. For more information, visit our website: www.cct.vi; call 340-778-1983 or 718-4229, or email: eileencct@gmail.com. 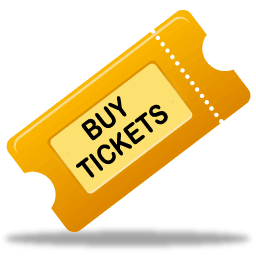 CCT — bringing live theater to St. Croix for 33 years and counting!